It’s now been reported that Saddam Hussein is executed. “Former Iraqi dictator Saddam Hussein has been executed, according to two Arabic language media outlets. Hussein was hanged before dawn on Saturday in Iraq, at about 6 a.m. (10 p.m. Friday ET), the U.S.-backed Al-Hurra television reported. I’m against death penalty and think it was wrong to execute Saddam Hussein even though he have done some cruel things. To kill him is the easiest and wrongest way to handel that matter. He should have been convicted in court and sentence to life in prison. 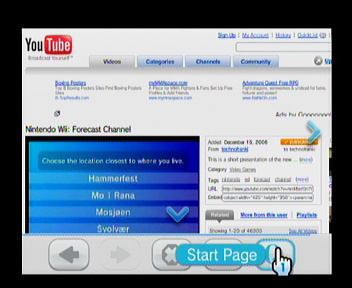 The Opera browser for Wii is now available to download. I downloaded it last night and have done some testing today. This is a beta version, so some fuction is missing. But from what I have tested, it works very well. 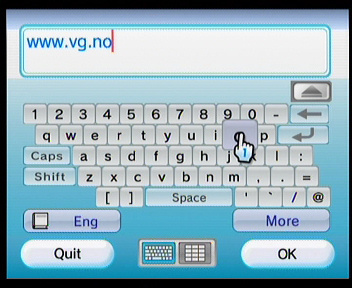 It’s pretty easy to use and even though you have to type in the webadresses with the remote. After some typing, you get used to it. There are som issues which could have been better, but since it’s a beta I can’t complain. The full version will be available from end of March 2007. 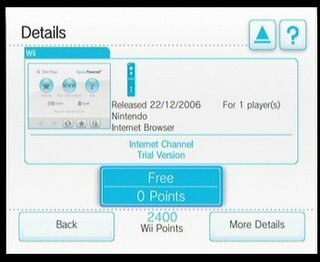 It’s free until end of June 2007. After that it will cost you 500 points. So remember to download it before thath. 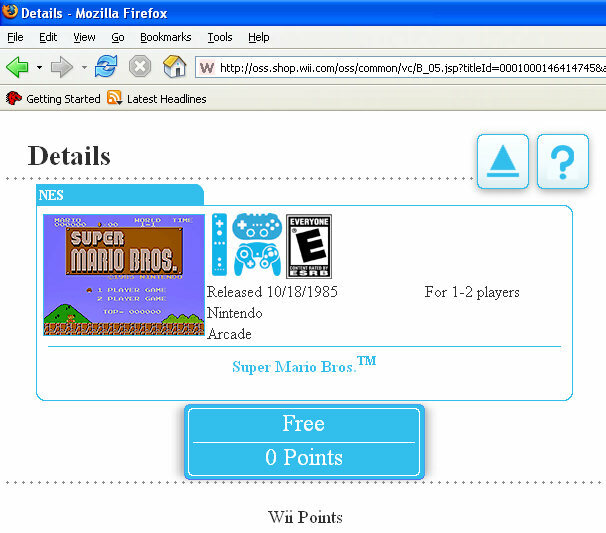 Nintendo Wii: The Firefox "hack"
The last days I’ve read a lot about the Firefox hack. They say it’s old news, but I first read about it a couple of days ago. So I had to poke around. 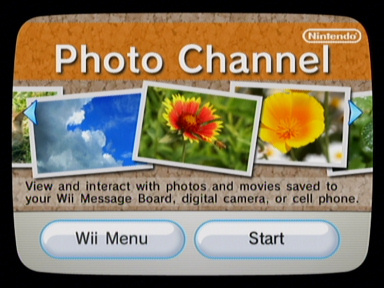 You can read a news article about it at Joystiq.com and how to do the tricks your self at Tech-recipes.com. 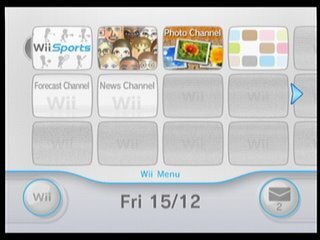 We have known that the Opera for Wii should be out before Christmas, but not exactly when. Today we got the press release we been waiting for; from Opera them self, Nintendo of Europe and Nintendo of America (the link goes to their press releases). Here’s the rundown. The Opera Beta is out this Friday December 22. I will guess that Japan and Australia also will get it on Friday. It’s a beta (trail) version. The full version will come out end of March 2007 and will be free to download to the end of June 2007. After that, it will cost you 500 points. If you download it while it’s free, you have it free for life. 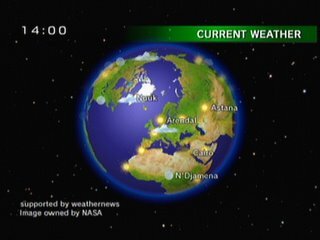 The Forecast Channel is no live all over the world (it seems so in the forums I’ve been at). That’s even one day before the release date set by Nintendo. Good work. I’ve been playing around a bit, and it look real well. The inface is very nice and easy to use. 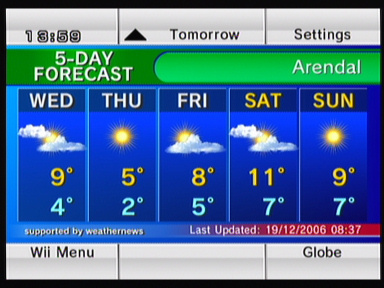 You get the weather for today, tomorrow and a 4 day forecast. But you don’t only get you local weather. You can see the weather from all around the globe. 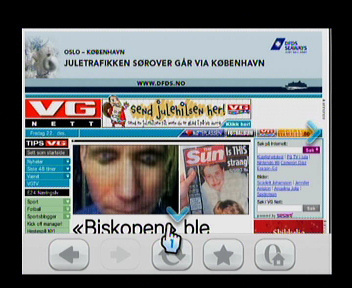 Just select the Globe option and zoom out (with the – key on the remote). And then you can grab the globe with you A-button and swing the globe around. 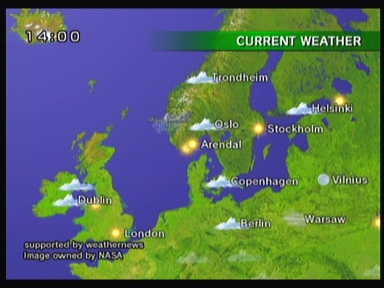 Select a city and see the weather there. It’s fun, it’s easy. At last, today my Wii arrived in the mail. My first imperssion is very good. 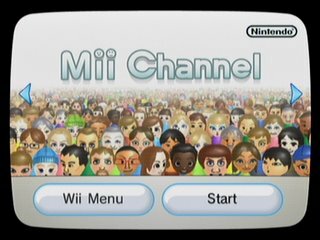 I’ve played around in the Wii Channels, making some Mii’s. It’s fun. Also played Wii Sports and Rayman. Still waiting for my second Wii-mote. 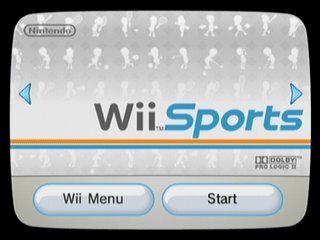 Can’t wait for multiplayer Wii Tennis.